I’ve just come back from the 40th Anniversary Celebration of the University of Oregon’s Center for the Study of Women in Society, where I was invited to participate in the Sally Miller Gearhart “Worlds Beyond World” Symposium on Feminist Utopian Thought. It was a really wonderful weekend, gathering together writers and thinkers from several generations; I was quite overwhelmed to be wandering around the same space as the writers whose work has shaped my intellectual world. Most of all Ursula K. Le Guin, but also Suzy McKee Charnas, Vonda McIntyre, Kate Wilhelm, Sally Miller Gearhart herself, Larissa Lai, Andrea Hairston, and L. Timmel Duchamp. And I participated in a quite joyous panel with Grace Dillon, Joan Haran, Andrea Hairston, and Kathryn Allan; it was wonderful to share our scholarly speculative excitement with an audience of academics, writers, and fans. I was in Oregon in large part because I have just finished editing a special issue of the UO-based Fembot Collective’s online open access journal Ada: A Journal of Gender, New Media and Technology. I’m very proud and very exhausted; we worked through an intense peer review process to publish 12 essays in a time period far shorter than most academic journals are able to manage. The essays vary from dense, lyrical scholarly works on the history of physics, new media art, and somatic capitalism, reproductive futurism, and Margaret Atwood to multimedia performance; there is an audio interview about Octavia Butler, a cyborgian dollhouse, and pieces on Lois McMaster Bujold, Cabin in the Woods, Sue Lange’s novella We, Robots, brainwave-scanning technology. There’s even a piece by the grand dame of feminist science fiction theory, Donna Haraway, and a collectively written review of a new book on her work. “The boundary between science fiction and social reality is an optical illusion” (149). So Donna Haraway wrote in 1985 in “A Cyborg Manifesto.” When I composed a call for papers around this evocative line, I hoped to solicit work that would address the continuities and the transformations between the chimeric time of Haraway’s 1980s and our own uneven present, more than 20 years on. The response was successful beyond my wildest hopes. 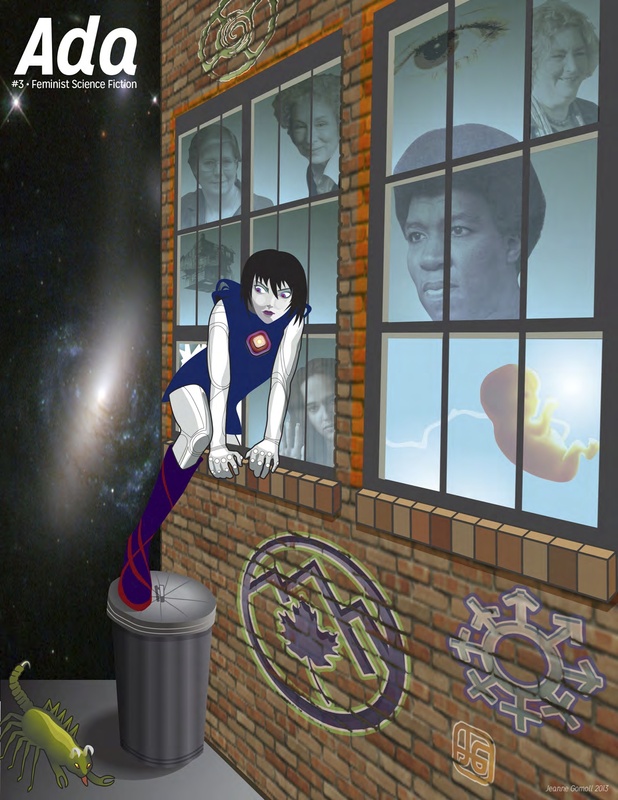 Feminist science fiction, in the collective analysis of the writers gathered here, proves to be a diverse and amorphous category in which real and imagined science and technology bleed into one another. 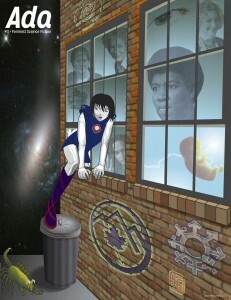 The essays call attention to the ways in which fictions and realities of scientific speculation shape how we experience the nexus of gender, new media, and technology––from the gendered history of physics to the migration of brain-scanning technology out of laboratories and into the world, from imagined visions of reproductive technologies to sentient robots to the social consequences of cataclysmic change in urban landscapes. Samuel R. Delany wrote in 1984 that science fiction is not about the future, but is rather a “significant distortion of the present” (177). In a world where not only technologies and their marketing but also social and political discourse draw continually from popular culture’s science fictions, this insight has grown ever more important. How do science fictions distort our perceptions of what is real and what is possible––and how should we mediate those distortions? Which should we critique and which should we embrace? If our times are science fictional, then the feminisms they demand must be technological and ripe for speculation. Joan Haran and Katie King’s essay calls for “science fiction feminisms” as well as “feminist science fictions” and “feminist sustainability”: this issue showcases the diversity of meanings contained in all three of these phrases.